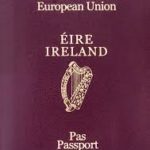 We get so many enquiries from Kerry descendants about acquiring an Irish Passport, we are outlining to-day the rules governing the application and granting of Irish passports through descent. While applying for and acquiring an Irish Passport through Irish descent is fairly straightforward, there is the usual amount of paperwork (as expected) to get in order. The problems we are coming across are the problems that descendants have when trying to identify and acquire the necessary ‘certified’ birth certificates of grandparents. 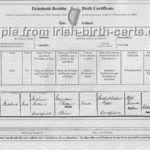 Grandchildren of emigrants, who now live outside Ireland, often find it difficult to positively identify their grandparrent – in what name or location was he registered originally? So you might be looking for a Jeremiah O’Neill in south Kerry – he could have been registered in any number of ways – Jeremiah/Dermot/Diarmuid or even Darby and O’Neill could be O’Neill, Neil, Neill, Neal. His date of birth will have had no significance for Jeremiah – he took a guess at it when he emigrated so that one needs to be pinned down. Likewise when he arrived in Chicago, he probably didn’t tell all the Government departments that he was from Coolnagoppoge or even Kilgarvan. He may have said Kenmare which would be a great help or he may even have said ‘Killarney’ as this was a well known name recognisble internationally, in the case of the latter, his birth details will remain a mystery. This is where MyKerryAncestors come in. We can help to untangle the mysteries and find the registration office where your ancestor grandparent’s birth was registered and acquire the necessary recognised birth certificate for you. In cases where the birth was never registered (yes it happens ! ), we would then need to get a Baptismal certificate witnessed by the current Parish Priest of the parish where the Baptism took place. If you have a problem here contact us by email. Below we outline what descendants of Irish citizens are entitled to, and how to go about it. 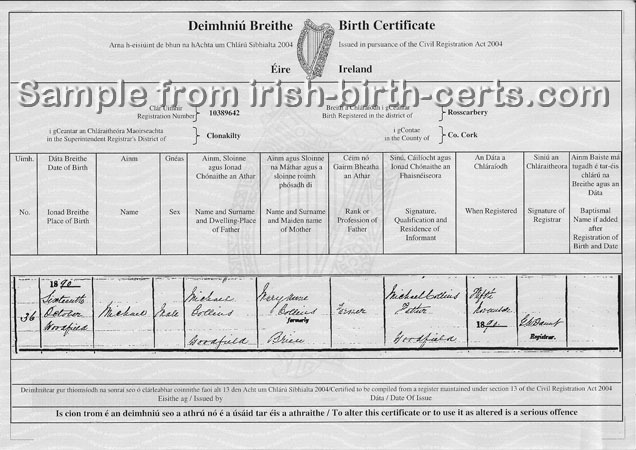 Irish citizen parents born outside Ireland If you were born outside Ireland to an Irish citizen who was born outside Ireland, then you are entitled to become an Irish citizen. Foreign Births Register If you wish to be included in the Foreign Births Register you must use the online application facility. You can find information about making an online application, the documents required, the photographic requirements and the fees on the website of the Department of Foreign Affairs and Trade. Once you have completed the online form you must send your printed application and required supporting documentation to the Irish embassy or consulate for the country in which you live. I cannot find the farm in which my grandmother Julia Agnes Hogan was born shanavalla i wass told but i can’t find the township, or where it would have been . Julia married my grandfather in Tralee. I found the marriage certificate – father William Hogan. mother Margaret Grainey they married in 1905. My mission is to find the farm she was born in she died in England 1952 aged 69yrs old year of birth 1883 in Arabella which i could not find Please help. Mary, I have found the birth of Julia and will send you a copy separately by email. She was born on 15 April 1883 and baptised in Ballymacelligott Church. You should have a look at my blog last week on Ballymacelligott. It would be of interest to you. 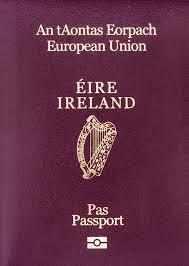 I am assuming that 3 x great grandparents from Kerry don’t count if you would like Irish citizenship? I’ve been so careful looking for my ancestors but my 3 x ggrandfather, Geoffrey Leary (from Kerry) emigrated to England anytime between 1815 and 1840, so not much chance o finding any certificates – nor any parish. Is it grandparents only that count towards citizenship? Your latest writing concerning Kerry descendants and passports was so informative and most interesting! I appreciate your research and expertise greatly! Gale, as I said at the start of the blog – this is a very complex area. My own interpretation is that your daughter’s would not qualify if they were born after the date that the father’s citizen ship was lodged on the Foreign Births Register. He would not have been an Irish citizen when they were born. But I think it is important to check it out – an email or phone call to your nearest Irish embassy or Irish Consulate should be able to tell you immediately. I have discovered that my Great Grandmother – Mary Creaghe (Creagh, Crae) was a “Kerry Girl” orphan who arrived in Botany Bay, Australia on ship “Tippoo Saab” on 1st August 1850. She was 18 years of age. She was born in Listowel Ireland in 1832 and died in Queensland 26/5/1913. She married Thomas Taylor, a convict., who was born in 1834 in County Tyrone. He arrived in Moreton Bay Queensland on “Bangalore” on 10/5/1850. They had 8 children, the 7th born John (born 12/11/1867) being my Grandfather. I am very interested to know if there is any information available regarding the parents of Mary Creaghe – Patrick & Ellen. I would be very appreciative of any info you may be able to give me.